Friday, 5 April, 4-6pm. Ben will be at the Colbinabbin Country Hotel, playing covers for their “Bring on the Holidays” afternoon Drinks, and raising money for The Salvation Army’s Red Shield Appeal. Setlist will be wide and varied, including “Give me a home among the gum trees”, “Unbreakable” (Birds of Tokyo), and maybe even a ballad version of “500 miles”. This album is free to download, however I encourage you to make a donation to CARAD at www.carad.org.au. CARAD is the Centre for Asylum Seekers, Refugees and Detainees, and do incredible work on a limited budget. As this album speaks about loving others, I encourage you to share the love of others, by donating to this cause that is close to my heart. You can download the album at BandCamp. There are some worship songs that I really get into. And there are some bands and writers that I especially get into. At the moment, one of the bands that I’m absolutely loving is Rend Collective. They have this funky, Irish-Bluegrass type feel to much of their recordings, and their songs are just great to sing along to. I’ve used some of their Campfire Christmas versions of Christmas Carols at Christmas time, and their albums are on a high rotation in my iTunes playlists. And one of my favourite songs – and one that seems to be gaining more and more traction particularly within The Salvation Army here in Australia – is Build Your Kingdom Here. 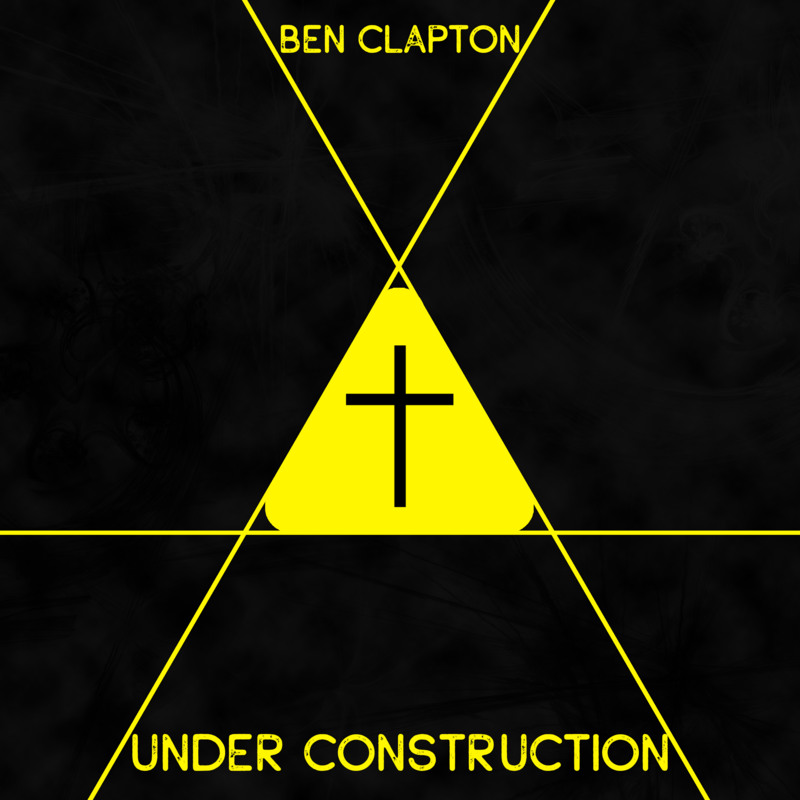 Author Ben ClaptonPosted on March 28, 2017 March 28, 2017 Categories faithTags Abraham, bible, Book of Samuel, christian, christianity, Church, faith, Genesis, God, God's Kingdom, jesus, Jesus Christ, Kingdom, Music, Nationhood, Religion & Spirituality, Religion and Spirituality, Rend Collective, WorshipLeave a comment on Win this nation back? A number of years ago now, when I was 21, I was housesitting over Easter. I watched The Passion of Christ on Good Friday. Through watching it, and thinking about music (as I was want to do at the time, studying Classical Music), I realised that there weren’t many compositions that explored this idea of the Stations of the Cross. While there are many examples of pieces relating to Easter, such as Bach’s St Matthew Passion or St John Passion, I couldn’t think of any that actually combine the stories as is found in the Stations of the Cross. Part of the reason is probably because many versions of the Stations of the Cross include extra-biblical material – that is, parts that have been accepted into the stations through tradition, and weren’t actually biblical. So I decided that I would start writing a piece based upon the Stations of the Cross. First, I found a version of The Stations of the Cross to follow, which was the one that Pope John Paul II followed in 1991, which I chose because the 14 stations were based on passages from the bible narratives. Of the 14 passages, there’s 3 from Matthew, 3 from Mark, 5 from Luke, and 3 from John. I decided to write for String Quartet and Narration, mainly because I knew how to write for strings, and would be able to utilise the colours and effects effectively to evoke the text. In terms of overall arrangement, I decided that it would work best in 4 movements – the first covering the first 6 stations, then the second with stations 7 to 9, the third with stations 10 to 12, and the final movement with stations 13 and 14. I originally wanted to base this work from a relatively popular translation of the text, however the number of verses was more than their fair use policy allowed, and upon seeking out permission to use it, I was going to be charged a large amount to use the text, for a licence that would only last 3 years. (As it’s been 7 years since I started this, I’m glad I didn’t shell out the money). As such, the text comes from the Open English Bible, an “open source” Bible released into the public domain. The Narration is notated, but is only intended as a guide as to where it starts, and roughly where it finishes. The narration is intended to sound as natural as possible, but lining up with the elements in the music. And to be honest – the change isn’t a bad one. I think it fits doctrinally, biblically and personally I’m more than happy to focus in on the Love of God (which is very evident in the New Testament) as opposed to the Wrath of God (which is very evident in the Old Testament). However, the original lyrics also work, they are sound, and they also have powerful meaning. When the Getty’s decided not to allow the change, they were well within their right to do so, and for me this issue isn’t a deal breaker. However, I’m uncertain as to whether to use this song or not. My doctrinal issue with the song comes in the last verse. Commonly known as the doctrine of backsliding, this means that as Salvationists, we believe that in order for you to remain in a state of salvation – that is saved by Jesus Christ – you need to continue to have obedient faith in Christ – that is, faith that follows the teachings of Jesus Christ. The flipside of this is that if you stop having obedient faith in Christ, then you lose your state of salvation. There’s no “once saved, always saved” here in the Army. Once saved, you need to keep being faithful to God. And that’s where the issue lies. For Salvationists, if you stop having faith, then you are effectively plucked from his hand, to use the imagery from the song. Where the song states that there is nothing on the earth or below it that can remove our state of salvation, our Doctrines state that there is in fact a situation where we can lose our salvation. That being said, there is a different way of reading those lyrics. You could argue that in fact, the line is stating that because my faith is so strong, because I have my continued obedient faith, that there is now nothing that can remove my state of salvation. But it’s a bit ambiguous. And my problem is that I love the song – the melody is fantastic, the rest of the lyrics are so incredibly powerful, and such a grand statement. But can I, as an officer who is to proclaim The Salvation Army doctrines as the defining articles of our faith, use a song that has one single line that speaks against one of our doctrines? This is the beauty of our Songbook. When we choose songs from there, we are guaranteed that the lyrics are doctrinally sound to The Salvation Army Doctrines. There have been people – far smarter than myself – who have gone through and analysed, and worked out whether the song can be used or not. I’m certainly looking forward to the release of the new songbook, hoping that it might have a few more recent worship songs which will make planning a meeting easier. When we move away from the songbook – as many corps are doing in order to stay relevant – we need to give at least a bit of a thought as to whether the songs we choose meet the standards set by our doctrines. If not, we have an obligation not to use them in our meetings, because as officers we are to proclaim the Gospel and uphold our doctrines. So until I am suitably convinced otherwise, unfortunately, I cannot use this hymn, as much as I love singing it. Now I best get back to choosing that final song for Sunday’s service. What do you think? Does one line mean that we shouldn’t sing this song? Is there a strong argument that means that it can be used in a Salvation Army context? or am I just overthinking things? I’ve practically finished my first week of orientation at the Training College. We’ve had a lot of different orientations – to uniform, to education, to prayer and more. Yesterday, we had a session called “Coping with Change”. We have all had to go through a big change in order to come to the Training College. At a very basic level, the shift from Perth to Melbourne was a big change. We were discussing yesterday the differences in language that we share – from Milk Bars and Delis, to Stobie Poles and Power Poles and even the way we pronounce Lego. Sing to the Lord with cheerful voice! And man will live forever more, because of Christmas Day. I am enjoying living close to work at the moment. It’s a ten minute walk to my workplace three days a week, and this week, I’ve been walking home in order to get some arranging done. It’s something that I’ve been embracing more since I am not playing my violin as much any more, so this is something that I can use my musical skills in. I’ve arranged a couple of worship songs so far for the songsters at my church, and I’m working on another arrangement at the moment, this time of the hymn “There’s Power in the blood”. I pulled this song out at a recent Chrysalis retreat and the guys really got into it. As the weeks went on, I couldn’t get the song out of my head, and it turned from this slightly rock, slightly rockabilly version into this kinda jazzy version that I’m now arranging. I’m working through this arrangement and hope to have it done really soon. After that, I’m thinking I might have a go at a brass band arrangement. Got a few ideas running around, just need to see what would work well. At the moment, I’m getting my head around being music director for an upcoming Chrysalis retreat. I did this last year, so a lot of my song choices have been able to be transferred, but it does mean that I can spend more time looking for other songs that might fit even better. At my church, we’ve also started having the youth band on twice a month now, which means that I’m now choosing twice as many songs, so I can be choosing more songs. So I’m constantly on the look out for more songs that can be used. Here’s a selection of worship songs that I’m loving right now. I love the space in this version of Saviour King, that the instruments just get out of the way and you can just focus on the words. The chorus for me is incredibly powerful, and I think I’ll be able to use this (in some form) at Chrysalis. As for Hosanna, I’m considering an “acoustic” set for the next Youth Meeting, and love the arrangement of this version. Now for something a bit more uptempo – and a bit older too. This song has been in my head for a while now, and I’m not sure where I’m going to use it, but I think that there will be something coming up that it will be just perfect for. I think I especially love the brass lines here, really makes it pop! This is a new song by Aaron Keyes (co written by others such as Ben Smith and Graham Kendrick). It’s wonderful lyrics are backed up by a great easy to sing Hymn-esque tune. This is a wonderful praise song, and I can’t wait to use it somewhere. So that’s what I’m listening to at the moment and what’s going through my head. What songs are getting you passionate for Christ at the moment?